Presbyterian Homes Foundation is honored to invite you to become a member of the Legacy Society. The Legacy Society is a circle of donors who have established a future gift arrangement with Presbyterian Homes Foundation. By joining the Legacy Society, your estate gift will change lives and meet the needs of future PHS residents. The Legacy Society does not require entry or annual fees. To qualify for membership, you simply verify that you have made a gift provision to PHS or to a specific PHS community. Presbyterian Homes & Services is privileged to serve the physical, social, emotional and spiritual well-being of older adults. Changing lives and meeting needs of individuals and communities is at the heart of Presbyterian Homes & Services. We are thankful for Legacy Society members who partner with us through their generosity, serving as an example that caring for others is one of our most important human callings. 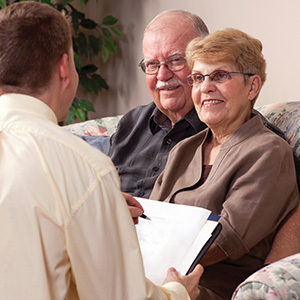 It is important for every person to have a well-designed estate plan. This may be through a will, trust or other estate tool. A well-designed estate plan can maximize your support of family and also benefit charitable organizations close to your heart. The Presbyterian Homes Foundation welcomes the opportunity to provide you with information about estate planning, giving options and answer questions you may have regarding your individual goals. Please contact us at 651-631-6408 or 651-631-6418, or phfcomments@preshomes.org to learn more.